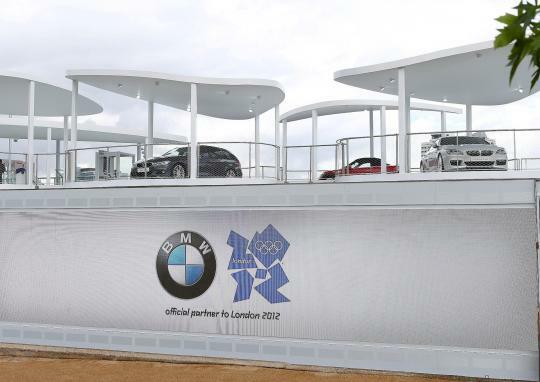 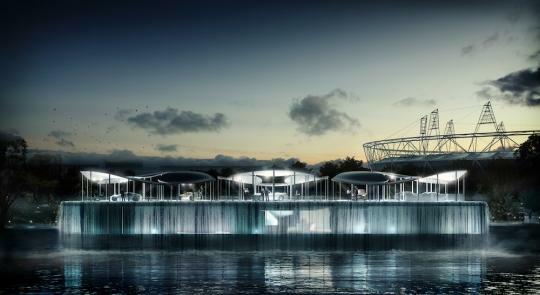 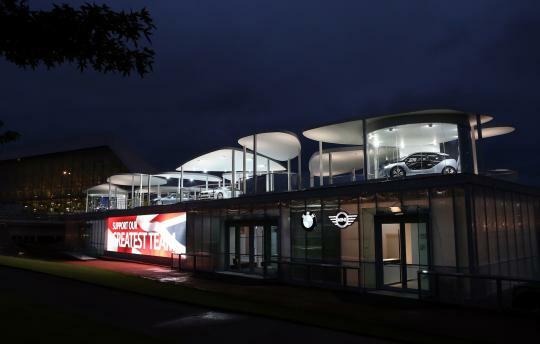 The BMW Group has unveiled their Olympic Park Pavilion which expects to draw thousands of visitors during the Games. 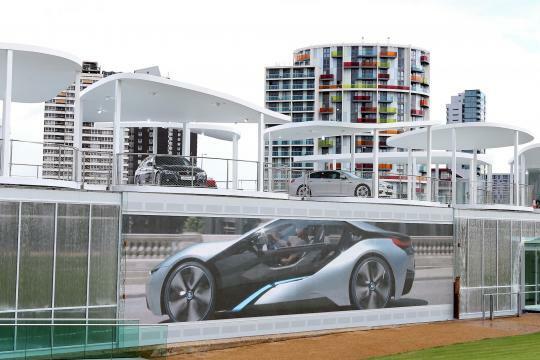 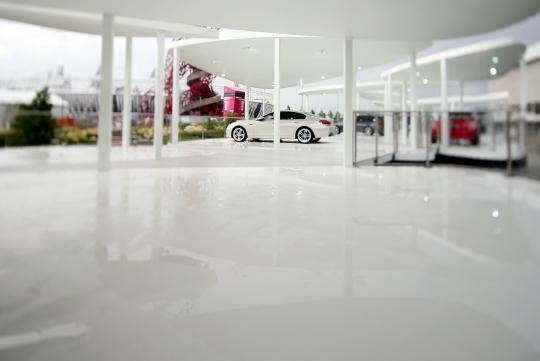 Conceived by an award-winning British architecture firm, the BMW Group Pavilion showcases a exciting range of latest vehicles against the backdrop of the Olympic Stadium and Aquatics Centre. 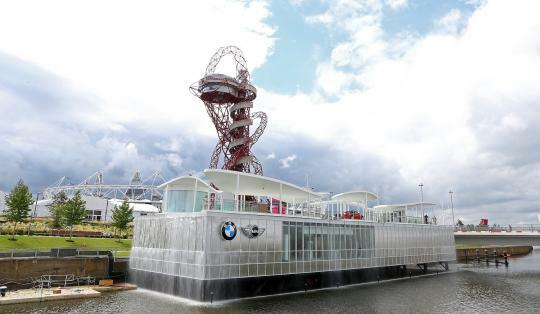 The company�s 800m2 Pavilion filters and recycles the surrounding river water, and is built with highly recyclable steel with reduced concrete. 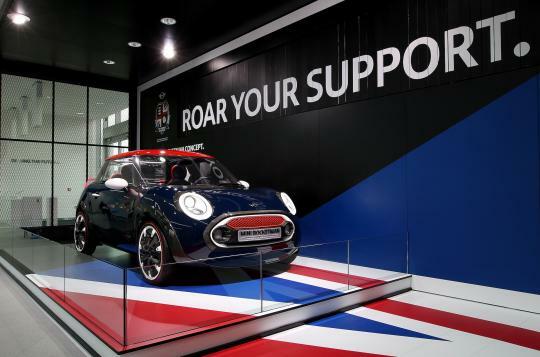 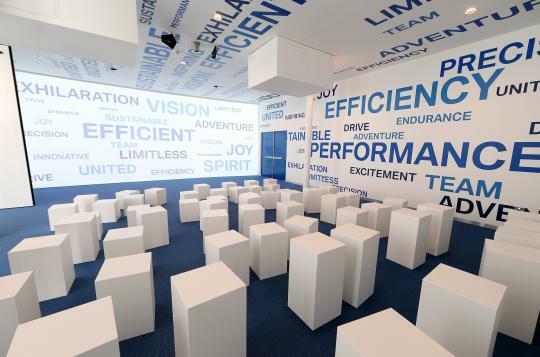 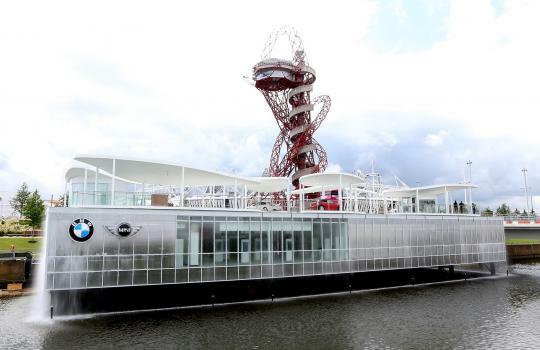 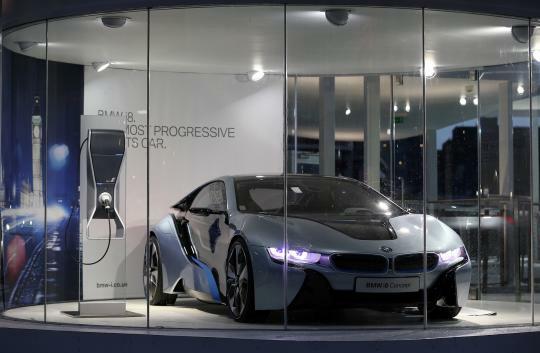 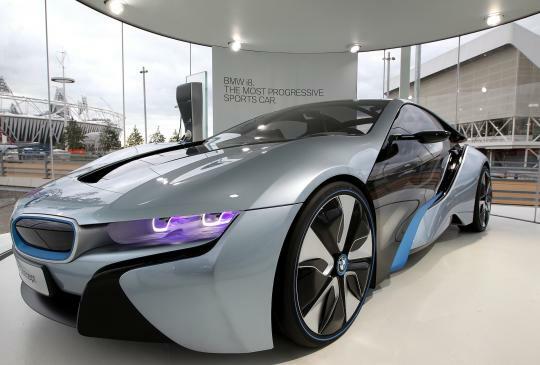 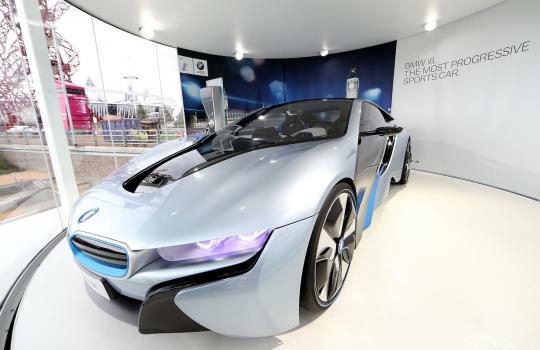 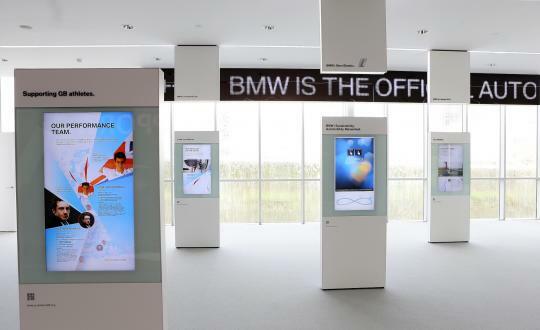 The lower floor of the pavilion exhibits the London 2012 Games fleet with interactive displays for guests to learn about the BMW Group�s vision for the future of individual transport. 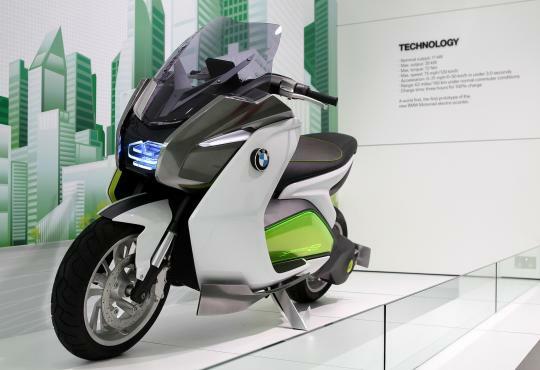 Also on display are prototype models including the BMW E-Scooter and the BMW i Pedelec concept together with a revised MINI Rocketman Concept, that has a Union Jack inspired colour scheme. 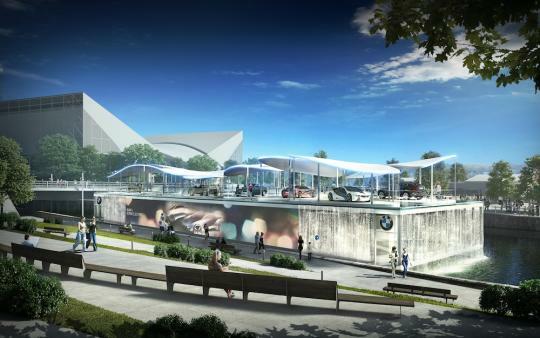 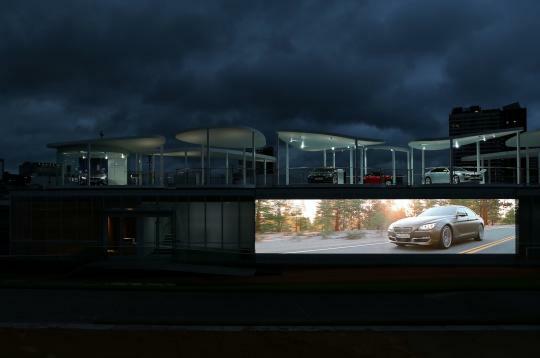 The top deck, comprises nine individual rooftop pavilions, and displays current and future BMW Group vehicles.